Maruthi Desai is a young and new Telugu film director is a plantain fruit vendor’s son selling plantains on the road side near cinema theaters in Machilipatnam, AndhraPradesh. Graduated from achilipatnam and moved to Hyderabad after his graduation. He used to paint sign boards and numbers plates for vehicles to earn some money for his fees studies. The systematic paintings he drew helped him later to screenplay his own film scripts. His destiny is not fruit vending but to become a film director. Without any film background and film knowledge he became a film director that should inspire young aspirants. Nothing is beyond achievement if one has burning want, confidence in them. If one knows what they are doing, and confident of his success, nothing stops them. For becoming great personalities, they need not be related to established people, nor need to have connections with renowned personalities. Strong desire, constant handwork, plan followed by action with meticulous calculation of time frames will lead anyone to great goals. Maruthi is one such. Great movies and directors inspired him. When Maruthi approached a veteran producer in film industry and asked for a break in the area of direction, he denied Maruthi’s request and advised to approach if and only if he could compete already established directors and could stand in film field in the midst of those tycoons. He temporally left with no hopes of becoming a film director. But he could not sleep with the burning desire. His experiences of drawing sequences of pictures of the films he was observing while selling fruits trigger his sleeping film director in him and decided to go on his own. He was inspired by Ram Gopal Varma another popular film director in Tollywood and Bollywood, who made Dongala Muta with 5 D camera in a cheaper budget. 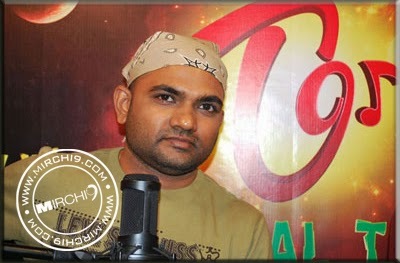 With that inspiration he purchased few cameras and decided to make a film within `50 lakhs. His confidence levels were so high that he decided to prove to the film industry that even without experience in film direction, a good story will also work with the audiences, and not just fancy production values. He made a film ‘Ee Rojullu’ in 30 to 40 days. This film was a fabulous hit in the small budget and small film group in Tollywood. Then recognition mounted up and calls from veterans for film making like Bellamkonda Suresh for film ‘Busstop’.